CREST Planning specialises in event safety and venue management for events across the UK. Their team is made up of the very best UK Emergency Service, Local Authority and Private Sector professionals. AtomicMedia was approached to create a bespoke event management system that would be used by event managers, safety officers, security firms and local authorities. 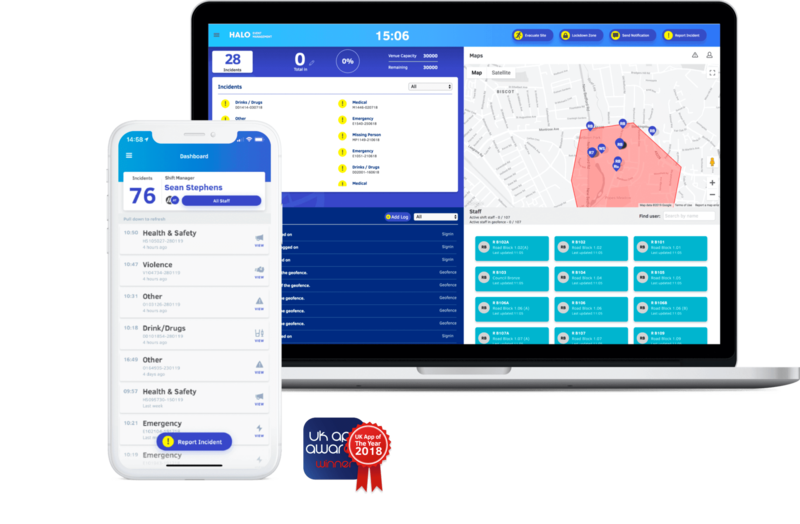 Its purpose would be to streamline communications across the event safety teams, allowing them to seamlessly raise and log critical incidents using a mobile app and live website dashboard. We set out to modernise the world of event management and public safety by exploring how we could utilise mobile technology to overcome the communication and reporting challenges that typically occur when managing large-scale public events. Our solution was to build HALO - a fully integrated system that worked seamlessly across a mobile app, command centre dashboard and backend admin area. 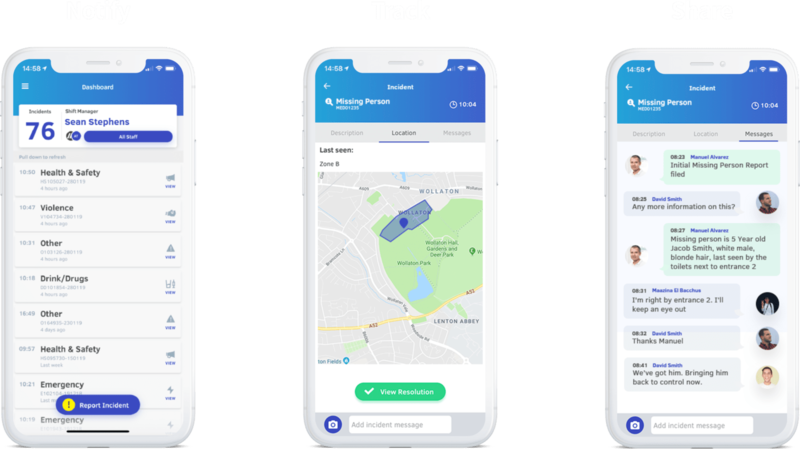 Providing event organisers with complete visibility of their event was key so we built HALO to allow staff out in the field to seamlessly log and report incidents using the mobile app. All of which are tracked using GPS technology and instantly fed back to the command centre dashboard where the appropriate action can be taken. Taking a user-first approach, HALO was designed and built to be completely customisable, allowing key features to be quickly toggled on or off within the backend admin system. This means the system can be easily customised to meet the individual needs of any event. 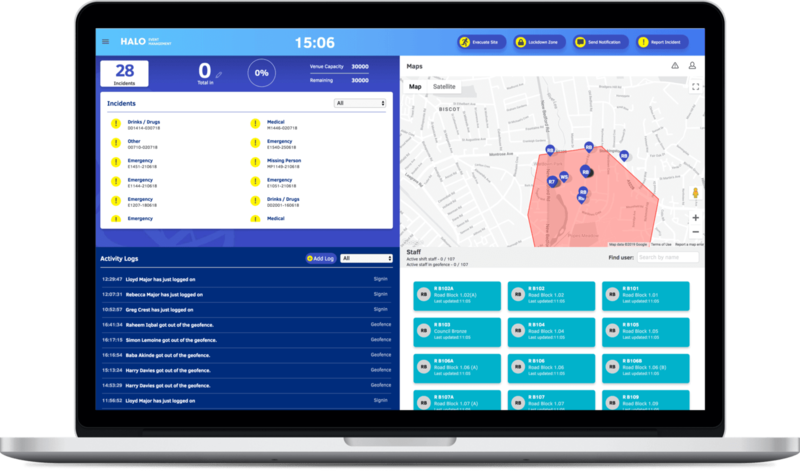 All data captured by HALO is tracked in real-time with incident information and messages being time stamped and securely stored in activity logs. This provides event organisers with complete peace of mind that all incidents are being recorded and key decisions captured. The addition of reporting and analytics tools also means post-event reports can be quickly generated directly from within the command centre dashboard - a process that without HALO would take several weeks to complete. Following its launch, HALO was quick to make waves across the industry, being adopted by a range of public and private sector event organisations as their preferred event management safety tool. Further success soon followed when HALO was a triple winner at the UK App Awards - including the award for Best UK App 2018.